In early January a rating suggested that the fourth and final Guild01 download title was on the way to the West, and now Weapon Shop de Omasse has been confirmed for the 3DS eShop in Europe and North America; it arrives on 20th February and will cost $7.99 in North America, with no price yet given for Europe. This final entry from the original Guild compilation has a rather quirky premise, in that it's set in a traditional RPG world threatened by evil yet your role is not that of a hero, but of a Blacksmith. Your job is to forge the best weapons possible for a series of warriors, with the gameplay mainly revolving around rhythm-based tapping. Level-5 is also running a sale of all previous Guild download releases to celebrate the new title's arrival; details are below. Are you intrigued by Weapon Shop de Omasse, and do any of these discounts tempt you to take the plunge? 2.99 for Friday Monsters does sound tempting. Too bad I already own all of these games. Friday Monsters will be mine! ... I regret buying Friday Monsters at full price when it originally released. LOL I learned my lesson. Its a good game but.... the price cut amount equals its worth. Already own Friday Monsters and Starship Damrey, the latter of which was disappointing. Picked up Liberation Maiden right after the N.Direct broadcast. I know it'll be short and sweet but you can't go wrong at these prices. This game looks really fun! I just hope the rhythm forging isn't going to be as boring as HarmoKnight... but I'll take the risk! Friday Monsters is great, totally worth it! Especially at this price, unfortunately its short, I wanted more. Bugs vs Tanks and Attack of the Friday monsters, the only two I don't have. The Starship Damrey should be that price permanently. Interesting as it is, it's a very short, very easy game with very little replay value. Aero Porter on the other hand, I believe to be a vastly underrated gem. Just bought Attack of the Friday Monsters, Starship Damrey, and Liberation Maiden. Out of all of them, I'm most excited to play Attack of the Friday Monsters. The new one is the first one of these that really interests me. i caught this sale before this post lol. but i picked up liberation maiden and crimson shroud. two games i've been looking forward to very very much. I'm looking forward to Weapon Shop, seems really fun! I may pick up all the games I don't have but if not, I'll just buy Liberation Maiden as that's the one that I've been most wanting but haven't bought yet. this is like a day one game i want to get, but i won't be able to. @LaytonAprentice Isn't this like the third sale for all of their titles since last year? Not really a lot compared to titles like Code of Princess. I got Bugs VS. Tanks, and I'm considering purchasing Liberation Maiden and Starship Damrey. Good to know there will be at least one eshop release next week that I want. Didn't know the titles were on sale again, I missed out on the holiday sales so this is great for me! I got just enough left on my eshop credit to pick up Attack of the Friday Monsters. Think I'll pick up Friday Monsters for $3 - normally $8 - even though I don't have a 3DS (my wife has a pink one) and I hate that tiny screen. I can squint for 2-4 hours. I've just finished watching the first 4 original Gamera movies w/ my kids and have the new trilogy for next week. Maybe more, well see. €7.99 for europe, will happily pick this up looks fun. I own Liberation Maiden and Crimson Shroud, and I highly recommend both. I need to read some reviews on Bugs vsTanks now. Liberation Maiden is extremely short. I can't believe they try to charge $8 for it. I beat the game (normal mode) in 1 hour and 9 minutes... Well it does seem like a game where u try to get high scores though. Getting Friday Night Monsters, my second Guild game after Crimson Shroud, which I bought at another discount and am yet to play. Thanks for including the Aussie prices, NL! It's rather handy to know without having to load up the eShop. Whoever doesn't own Friday Monsters yet, and likes some Ghibli-ish stuff mixed with classic Japanese robots and monsters, get it now! It's amazing. Liberation Maiden is also great! Mothaa of gawd those Guild games are cheap. I'll probably get 1 or 2 of them. @Fazermint I was thinking the exact same thing when I saw this. Looks like i might buy friday monsters then. I've heard good things about Friday monsters and it's Japanese pop culture, at this price I think I will invest in this one. That shop games looks ok but would prob only play it once then forget about it. Great sale! I'll add Friday Monsters and Liberation Maiden to Crimson Shroud (great game!). Nice sale, going to pick up the games I don't alreadt own. Can happily recommend both Crimson Shroud and Attack of the Friday Monsters at this price. Now wondering about picking up Starship Damrey but no-one seems to have posted anything positive about it! Ok can someone put these in an order of best to buy? Friday Monsters is amazing for this cheap. Friday Monster is a weird but endearing little game. If you don't have it yet, I highy recommend you to take advantage of this sale. I'll probably get Bugs vs. Tanks, since the concept is way too cool (even if reviews weren't stellar). Sweet, I'll get Friday Monsters and Liberation Maiden. 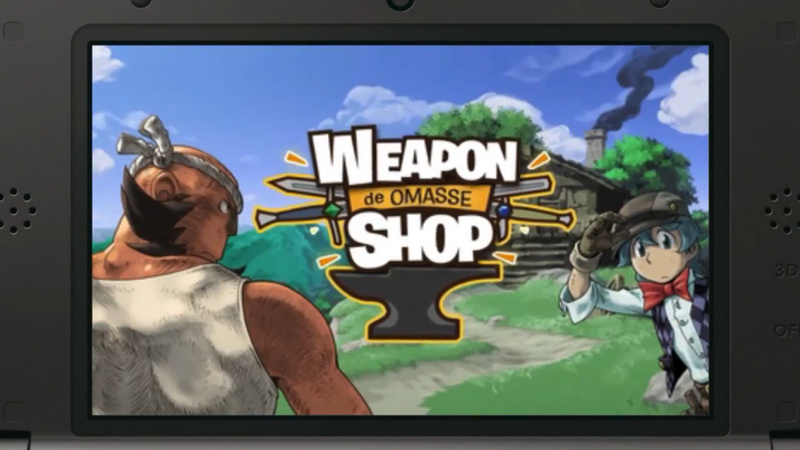 Weapon Shop de Omasse is the one I'm most excited to play, will be picking it up next week. I'll probably go ahead and get Damrey. Then the only Guild games I wouldn't have would be Bugs vs. Tanks, which seems pretty widely disliked, and Aeroporter, which I might get. I'll definitely pick of Weapon Shop, though probably not at launch. Here's hoping there will be a Guild03! I like the Idea of this game, i have to get it. I have Crimson and Friday but am tempted to go for some of the others but Aero Porter getting too hard too fast makes think an Art Style game is a better investment, I'm left handed so liberation maiden will be misery and the other two don't seem that interesting. Couldn't believe my luck; Friday Monsters was the only game I wanted but couldn't fully buy with the card I received, and now I can! im an evil left hander to I didn't feel it was too much of a struggle. Still cant work a bloody tin opener yet. I bought Liberation Maiden the first time they dropped the price on it for a sale, and I loved it. Yeah, it is short. But I fire it up now and then just to play thru it! It does play a lot like the classic Rez mixed with something like Sin & Punishment (though a bit simpler in design). I do wish the game was longer, or that they would release a sequel cause I would buy it. It is a blast in my book. I've not tried any of the other titles, but I'm probably gonna get Monsters based on everyone's high praise and the cheap asking price. Probably grab Crimson Shroud while it is on the cheap as well. The visual style of it is so interesting. Staying away from Tanks/Bugs due to poor reviews and the fact that I hate bugs, especially spiders, so yeah, no interest in that. 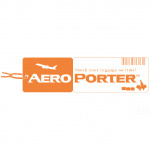 I don't know much about Aero Porter. And I will likely get the new blacksmith game. It sounds like good charming fun. Ridiculous. The sale goes on until the 23rd so I go on to get the games today and the sale is over. What a bunch of BS. I'm really curious about the new title. I have about half of their other games, and the seem among the most solid in the eShop.